Symptoms of withdrawal after oral Δ9-tetrahydrocannabinol (THC) administration have been reported, yet little is known about the development of dependence on smoked marijuana in humans. In a 21-day residential study, marijuana smokers (n = 12) worked on five psychomotor tasks during the day (0915–1700 hours), and in the evening engaged in recreational activities (1700–2330 hours); subjective-effects measures were completed 10 times/day. Food and beverages were available ad libitum from 0830 to 2330 hours. Marijuana cigarettes (0.0, 1.8, 3.1% THC) were smoked at 1000, 1400, 1800, and 2200 hours. Placebo marijuana was administered on days 1–4 . One of the active marijuana doses was administered on days 5–8, followed by 4 days of placebo marijuana (days 9–12). The other concentration of active marijuana cigarettes was administered on days 13–16, followed by 4 days of placebo marijuana (days 17–20); the order in which the high and low THC-concentration marijuana cigarettes were administered was counter-balanced between groups. 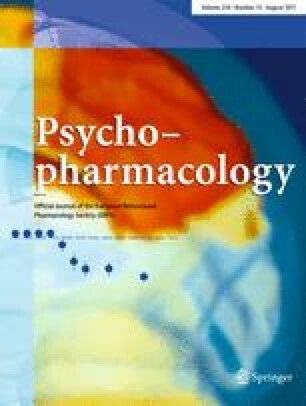 Both active doses of marijuana increased ratings of “High,” and “Good Drug Effect,” and increased food intake, while decreasing verbal interaction compared to the placebo baseline (days 1–4). Abstinence from active marijuana increased ratings such as “Anxious,”“Irritable,” and “Stomach pain,” and significantly decreased food intake compared to baseline. This empirical demonstration of withdrawal from smoked marijuana may suggest that daily marijuana use may be maintained, at least in part, by the alleviation of abstinence symptoms.